This page shows a variety of one-of-kind creations, featuring hand-selected fossil specimens and woods on hand-forged steel bases. ​Any of these designs can be built for you, in the dimensions, combination of materials and layout that you desire. 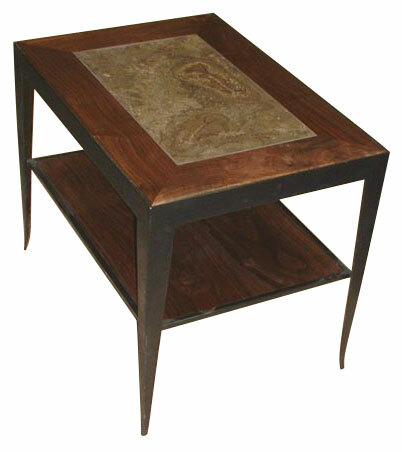 Custom side table with limestone fossil inlay, walnut border and lower shelf. 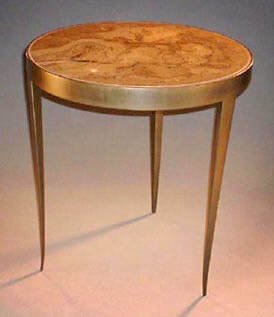 Round side table with fossil limestone inlay. Brass-rub finish. 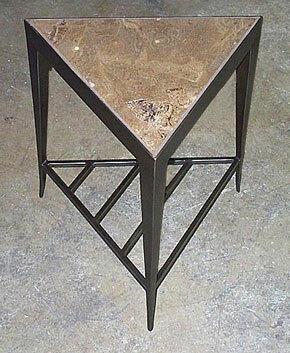 Triangle flare fossil table with lower shelf. Limestone fossil top. 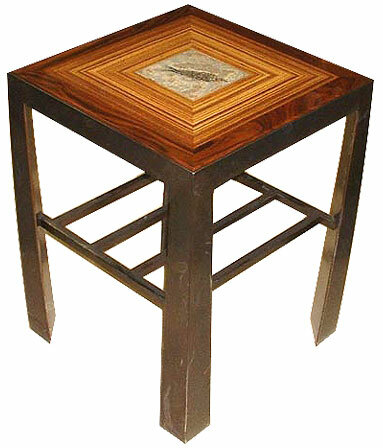 Flare side table with top featuring petrified wood fossil in koa with a bloodwood border. This table is currently available. Details available in early Dec. 2017. Arc side table featuring petrified wood set in koa with a bloodwood border and metal base. 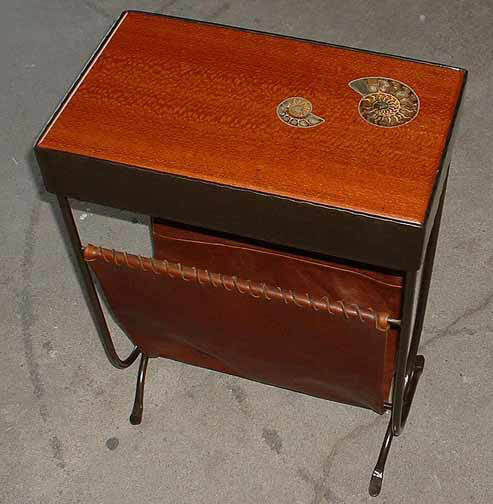 Top View of koa side table shown at left. 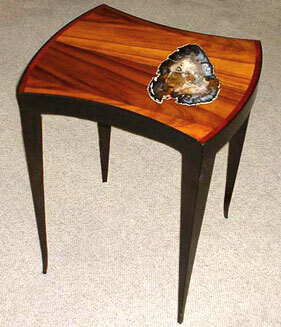 Flare table with lower shelf featuring limestone fish fossil set in zebrawood. 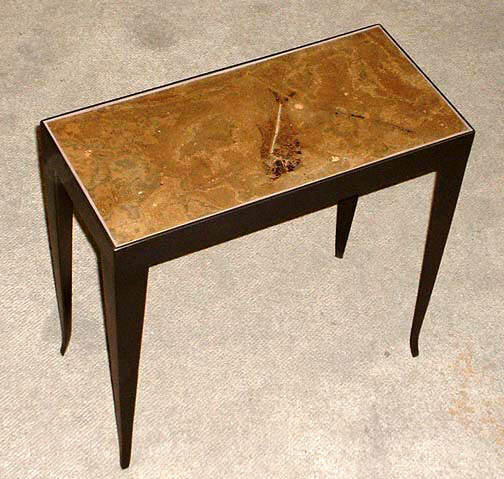 Narrow side table with limestone slab fossil inlay and flare leg base.